There’s something special about celebrating Christmas in July in Australia. We finally get to really enjoy a roast dinner with all the trimmings, some mulled wine and a warm plum pudding, without sweltering in the summer sun! And if I’m going to go to all the trouble of celebrating Christmas dinner twice a year, then I might as well add some little gifts as well. 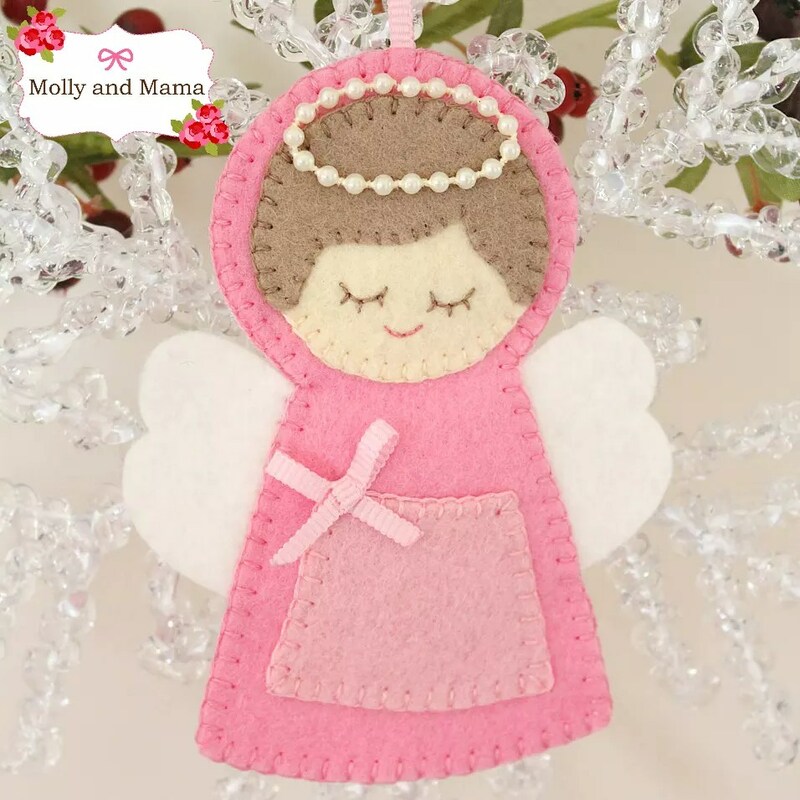 I wanted to share with you two Christmas sewing patterns from the Molly and Mama store. Both are small sewing projects, stitched entirely with wool felt and a few extra trims like floss and beads. These little decorations make perfect gifts! 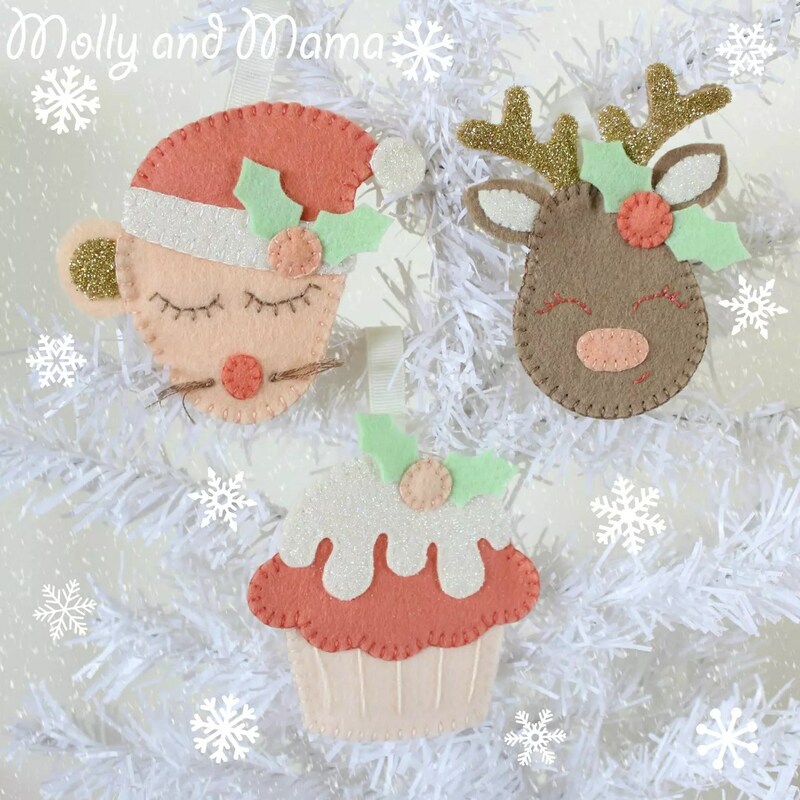 The ‘Festive Felties‘ can be made into hanging decorations, a pretty Christmas wreath, gifts tags and more. The PDF pattern gives you the template and full instructions to hand sew a Christmas mouse, reindeer and cupcake. So cute! You can read more about the Felties in this blog post. And you can find the pattern in the Molly and Mama Etsy Store. All my patterns are instant download, so you can print out your templates and get sewing right away! You might also like the Beaded Baubles PDF Pattern. It’s a little different from my usual style, but I have to say that I just love it! There’s just something about stitching with beads. Very therapeutic! 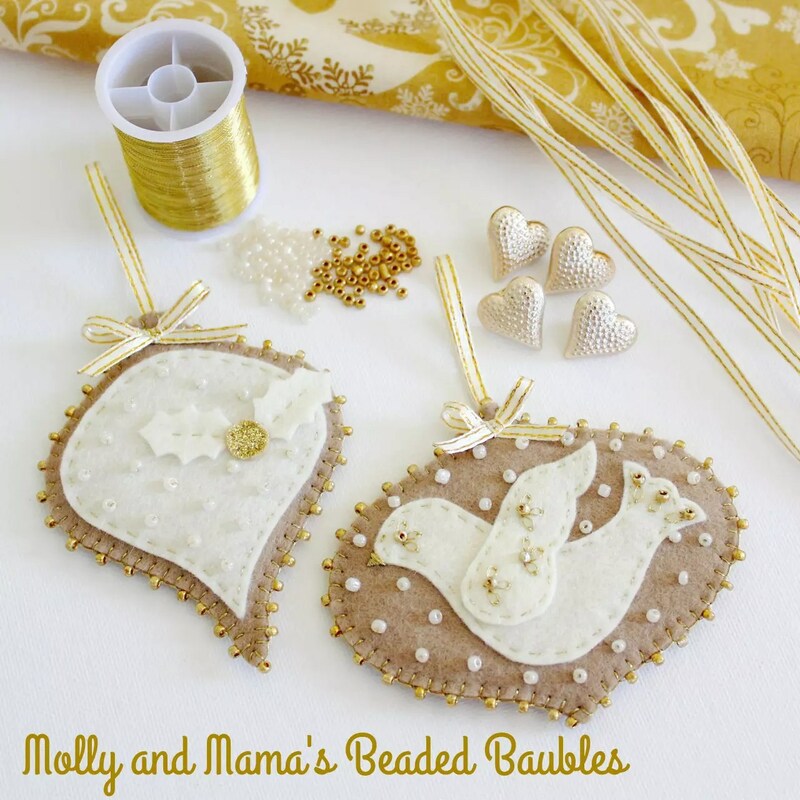 This PDF pattern comes with two types of decorations; the hand embroidered dove, and the holly sprig. Both require a little patience for bead sewing and embroidery, but are surprisingly straightforward. You can see more about this pattern HERE. So what can you do with these decorations for ‘Christmas in July’? Decorate your Christmas table with a felt ornament at each place setting. They’d make lovely gifts for your guests. And would be even more special if personalised with a hand embroidered name or initial. Use felt colours to match your Christmas decor. And create a table centrepiece with lovely felt decorations hanging from a mini potted Christmas tree or vase of holly branches. Adorn a wreath with a range of felties to decorate your door. You might even like to add some more felt decorations. 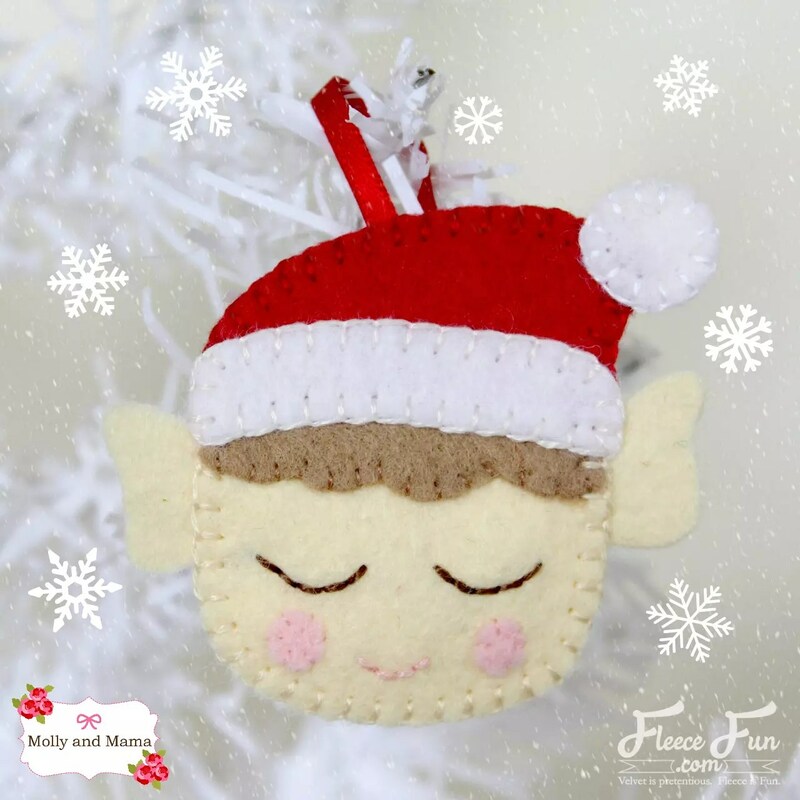 You could sew this cute Christmas Elf using the free tutorial I wrote for Fleece Fun. The Christmas Mouse tutorial has always been a popular one. 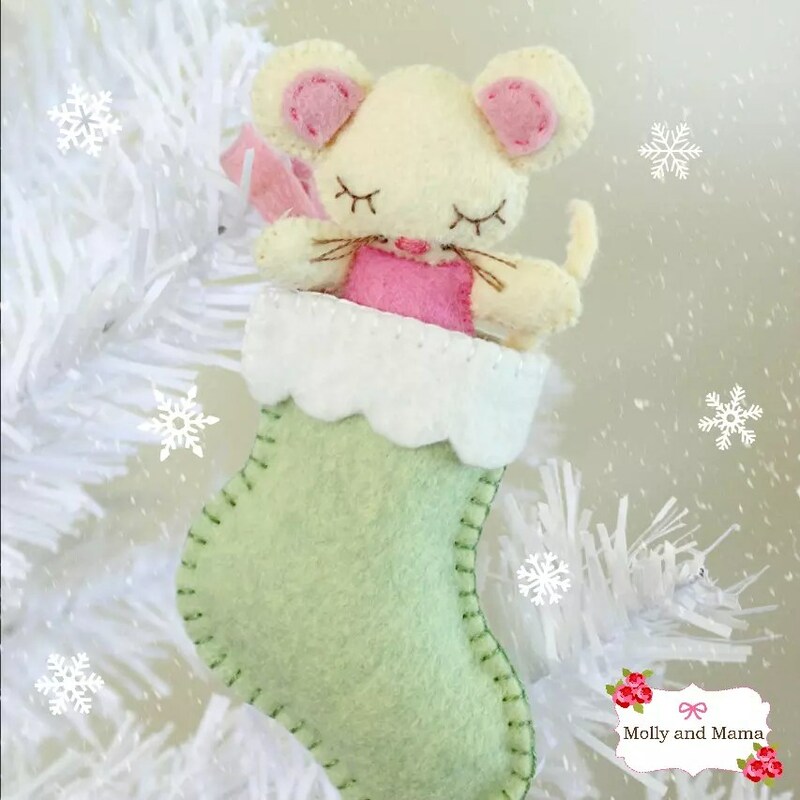 This adorable tiny mouse fits snugly into a sweet little stocking. You might also like my Christmas Angel tutorial too! She’s quick, easy, and fun! And I love her little pocket in the front for storing sweet goodies. Looking at all these images, it seems I have a thing for fake snow, right? Well I guess I can only dream about a white Christmas here – even in July. I can only imagine how special it must be. If you’re celebrating a mid-year Christmas, I’d love to hear what you’re getting up to. And what you’re making!